Do you remember when you were a child and the music from an ice cream truck excited you more than anything? I do and my favorite treat to get was a Bomb Pop. There is actually a National Bomb Pop day and it is on our anniversary June 27th. I know that Bomb Pop has passed already, but you can celebrate year round by picking up these tasty popsicles at your local Publix. 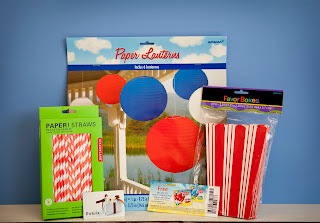 We were sent a generous entertainment gift pack to entertain this summer with the products at the top of this post and 2 boxes of Bomp Pop's. Since we have been moving all of June, we had our own personal celebration on National Bomp Pop Day/ Our Anniversary in our brand new backyard. We also had plans to grill out hamburgers and hot dogs (purchased at Publix) in our celebration, but we forgot to buy a propane tank for our new grill. Opps. We are first time homeowners and keep having small hiccups like that one. This celebration only included my Husband, my pup Tequila and Myself, but we had a great time. We saved the second box of Bomb Pop's and the other entertainment goodies for our upcoming house warming party in July. I love how the Bomb Pop's have three different flavors. It gives you some variety. 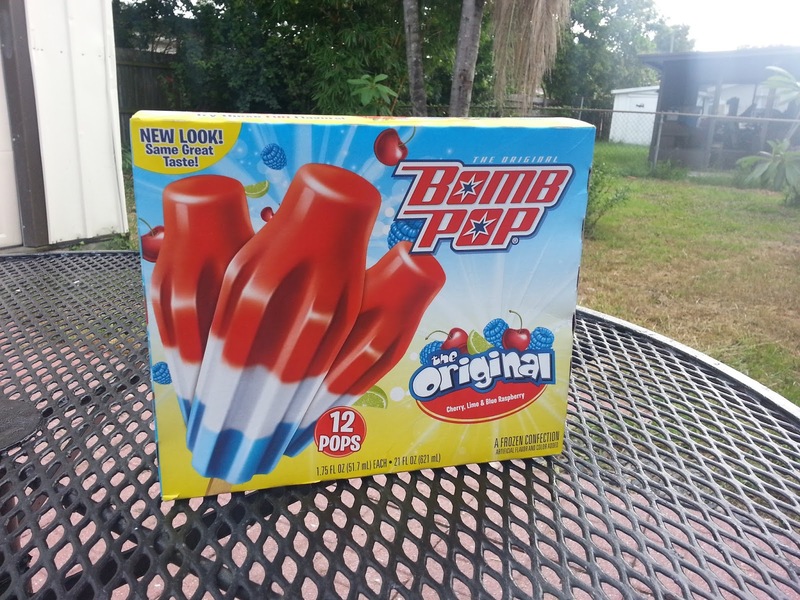 There are several different flavors of Bomb Pop available now, but the original will always be my favorite. When was the last time you had a Bomb Pop? Giveaway ends 7/22/13 at midnight. 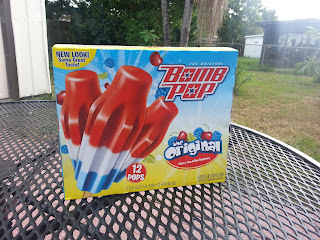 Disclosure Statement: I am working with Bomb Pop and Publix to share summer entertaining ideas using the information and products they provided me. However, my opinions are entirely my own and I have not been paid to publish positive comments. This is one our favorite Summer treats,too bad we do not have a Publix by us. Wish we had Publix in southern California! the dog is so cute!! Thanks for the giveaway and that dog is adorable! Great giveaway! 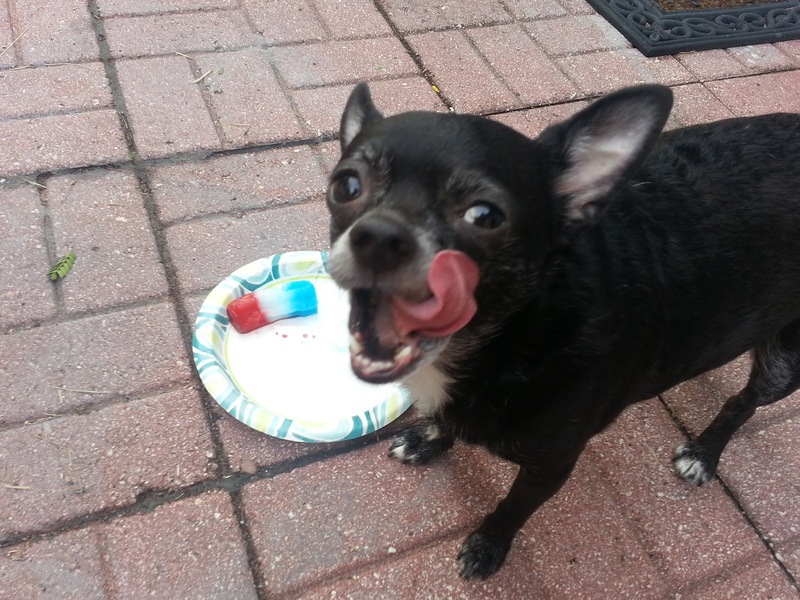 I love bomb pops!